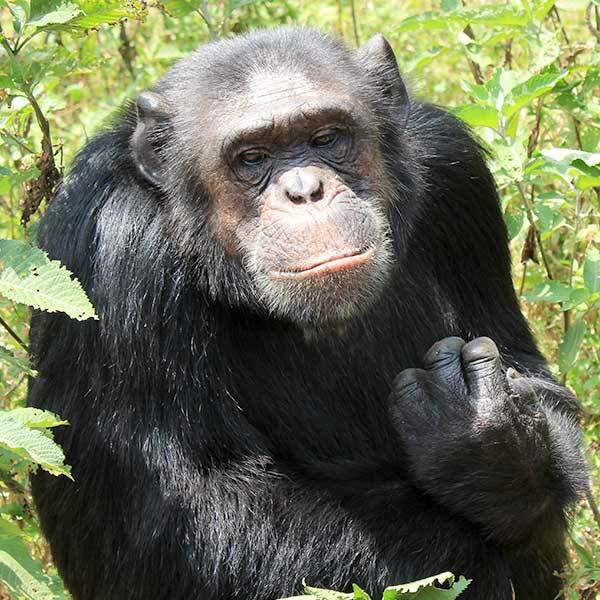 My name is Robbie and I arrived at Ngamba in 1998. Until 2004 I was the alpha male but got thrown over by Eddie and then Mika. Even though I haven’t been in charge for a long time now, I am still big & strong and I also fathered Kyewunyo. She had a baby last year so now I’m a grandfather.